So for reason two. Which isn’t my reason number two. I’m not rating or posting them in order of which are my main reasons, but, which come to mind first. Going to try break these up into separate posts and not get them all mixed up into one. For they’re all so similar. I want to prove to others that it’s possible. I want to show the world that they can do it. 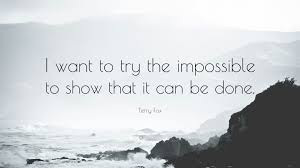 You know how you, or maybe it’s always me, think something is impossible, but really, nothing is impossible, and if we don’t try, we’ll never know…. 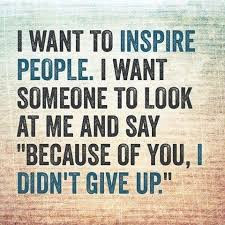 I do hope you know that because of you many people haven’t given up.. including me. Thank you msg….. I really appreciate hearing that. And the answer is no I don’t, though I hear you saying it..